Levi Hutton and his wife, May Arkwright Hutton, are rags to riches legends in the Inland Northwest. Both orphans, the couple traveled out west and met at a boarding house run by May Arkwright in what is now known as Kellogg, Idaho. The two married in 1887 spent the next ten years working at the boarding house and Levi working for the railroad. Like many others who migrated west, the two hoped to strike it rich, and invested the Hercules Mine of Wallace Idaho. After striking silver ore in 1901, the couple invested their life savings (totaling $5,284) into the mine. The Huttons and the other owners worked the mines themselves, putting everything earned back in to the mine. By 1906 the Huttons had amassed a fortune from the mine's dividend payouts, and decided to move to Spokane. Having built the Hutton Building the following year in 1907, the couple moved in to the building's 4th floor penthouse. After seven years of city living, Levi Hutton purchased some plots of land in the Altamont area. When the home was built, the area was still mostly woods. Since the two had amassed a rather large fortune, the home was built with the couple's tastes in mind. Intended to be a touch of country in the city, the residence boasts luxurious details like leather walls, an outdoor fireplace and furniture shipped in from Chicago, while still providing enough room for Mr. Hutton to have a large vegetable garden, green house, and even a cow. Architect George H. Keith created the Colonial Revival style home for the Huttons, and the total project was estimated around $45,000. The couple moved in in 1914, and donated the neighboring land east of their home to the community as Lincoln Park. Unfortunately, Mrs. Hutton passed away a year later from Bright's disease. The two both had a passion for philanthropy and often donated their time and money to charities in the area. 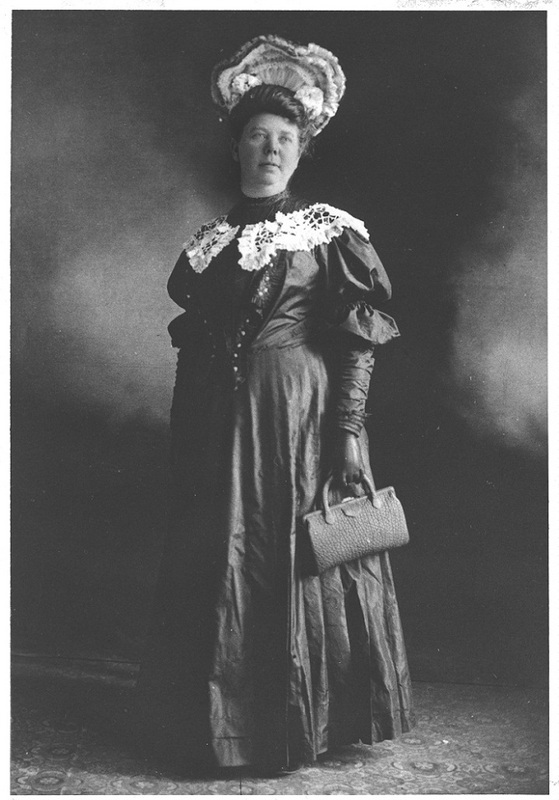 Not only did the two serve on the board of the Florence Crittenton Home for unwed mothers, May Hutton was known to have secured husbands for many of the women, and even tracked down some of the absentee fathers. The two felt very strongly about securing the well-being of orphaned children like themselves. On several occasions the couple took every child in the local orphanage out to the circus. In 1917, after the death of his wife, Levi Hutton established the Hutton Settlement, an independently run children's home that sought to break the mold of traditional institutional orphanages. From 1914 until his death in 1928, Levi Hutton lived simply in the home he had built to share with his wife. Very little was changed about the home, and when he passed away, the contents of the Hutton estate went to support the Hutton Settlement. Since Levi Hutton's death, the home has been owned by several families and is currently a private residence. 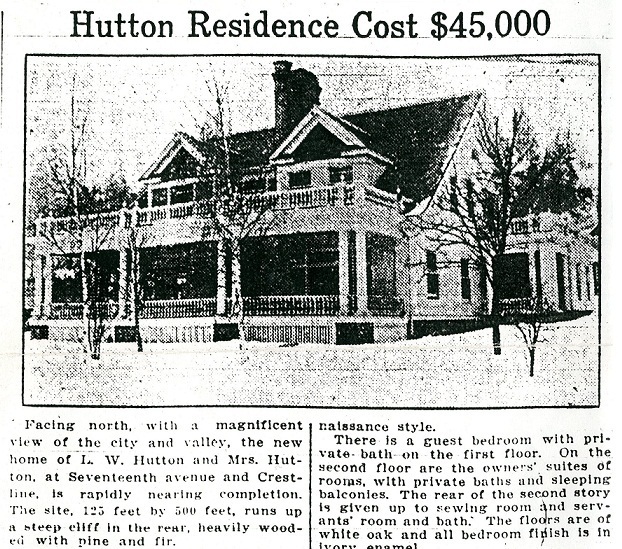 Hutton Home Cost $45,000 in 1914: Wanting fresh air and the space to raise their own milk cow, the Huttons chose to build their spacious $45,000 home in the Altamont area, which was still a heavily forested area. Image courtesy of the Northwest Room, Spokane Public Library. May Arkwright Hutton: Mrs. Hutton was an outspoken suffragist and democrat. She was known for her eccentric clothing and modern ideas. Their home was completed upon her return from campaigning in Washington D.C., and she lived there about a year before her death. Image courtesy of the Spokane City Historic Preservation Office Photograph Collection, Washington State Digital Archives. 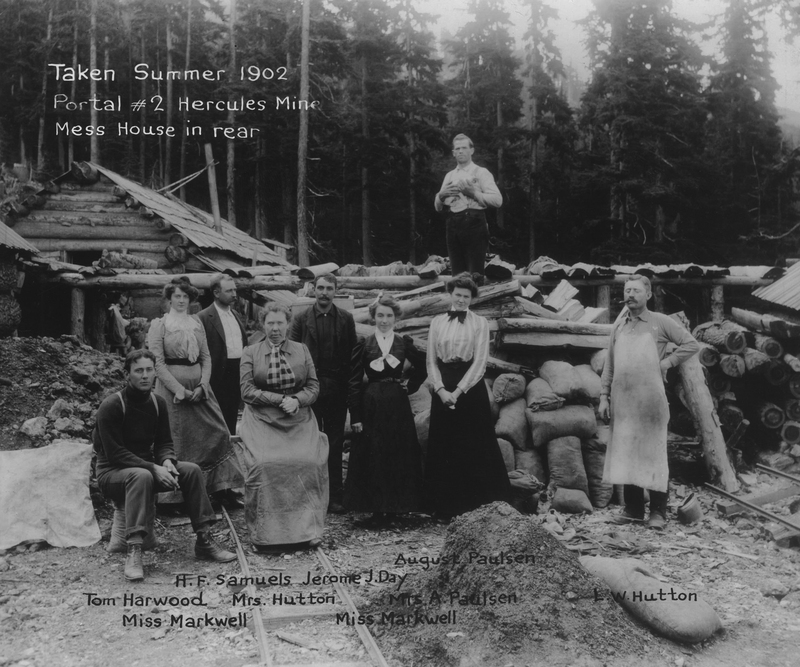 Hercules Mine, 1902: Like many of the early Spokane elite, the Hutton's wealth came from the rich mines of the Silver Valley in Idaho. Photo courtesy of Hutton Settlement. 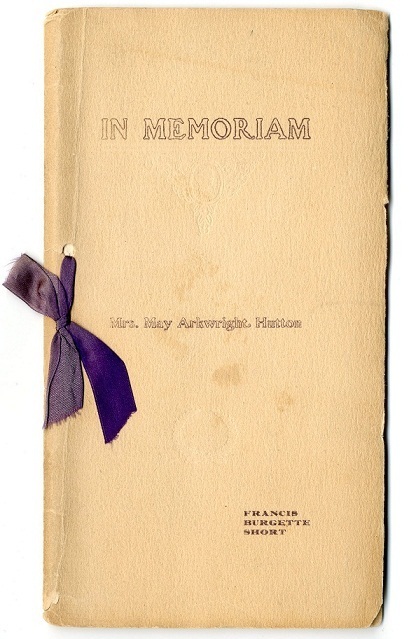 May Arkwright Hutton's Memorial Book: This booklet was handed out to the guests of May Arkwright Hutton's funeral in 1915. Image courtesy of the Northwest Room, Spokane Public Library. 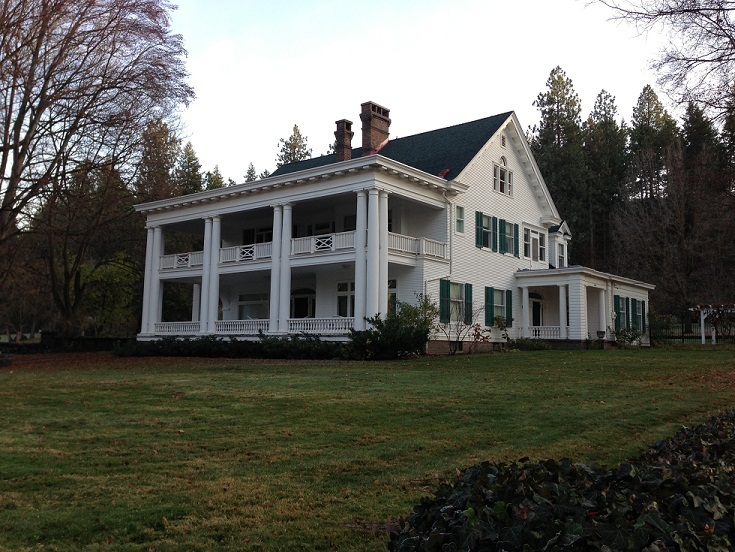 Anna Harbine, “Hutton Home,” Spokane Historical, accessed April 19, 2019, https://spokanehistorical.org/items/show/301. Arskey, Laura. &ldquo;In No Uncertain Terms: From the Writings of May Arkwright Hutton&rdquo;. Pacific Northwesterner, Westerner, Spokane Corral 52, no. 1 (April 2008). Spokane Public Library, Northwest Room. Friends of Lincoln Park. Hutton Mansion Tour. 2000. Spokane Public Library, Northwest Room. &ldquo;Hutton Mansion&rdquo;. Historic Property Inventory Form. State of Washington. Office of Archaeology and Historic Preservation. Spokane Public Library, Northwest Room. &ldquo;Hutton, Levi &amp; May Arkwright&rsquo;s House&rdquo;. 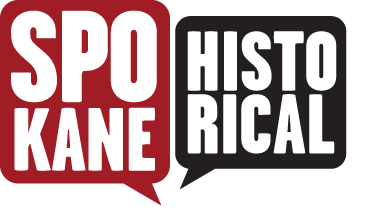 National Register of Historic Places Inventory-Nomination Form. United States Department of the Interior, National Parks Service. City-County of Spokane Historic Preservation Office, Hutton Home. http://properties.historicspokane.org/_pdf/properties/property-1841.pdf. Pratt, Grace Roffey. &ldquo;The Great-Hearted Huttons of the Coeur d'Alenes&rdquo;. Montana: a Magazine of Western History 17, no. 2 (April 1967): 20-32. Spokane Public Library, Northwest Room. Spokesman Review. &ldquo;Hutton Residence Cost $45,000&rdquo;. February 15, 1914. Spokane Public Library, Northwest Room. Spokesman Review. &ldquo;L.W. Hutton Dies; Spokane Mourns.&rdquo; January 4, 1928. Spokane Public Library, Northwest Room. Spokesman Review. &ldquo;Philanthropist, Wife Built Fabulous Home&rdquo;. March 24, 1957. Spokane Public Library, Northwest Room.